Three days before Christmas. The city of Davao is on its busiest but there we were...not to shop but to run errands. 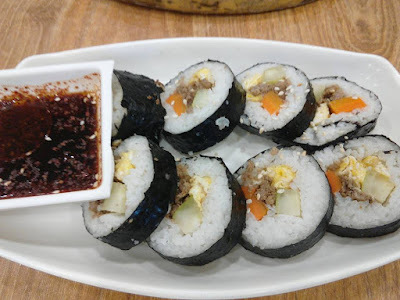 Late in the afternoon, we check out Gaisano Mall of Davao for some take home treat and as we're making our way out, we've spotted this Korean Restaurant at the 4th floor near the mall's food court. Hmm, the sizzling treat looks inviting so we thought we'd give it a shot. I haven't tried any Korean except that spicy instant noodles that they're popular of and that can be checked out from imported goods section in a grocery store. pay that much attention to how the sets of dishes are called as they're written in Korean, of course, instead, I looked at what each treat is made of. What surprised us are the prices. It's rather Filipino! Seriously? Okay, so why don't we just have a bite and see what we really are paying for. 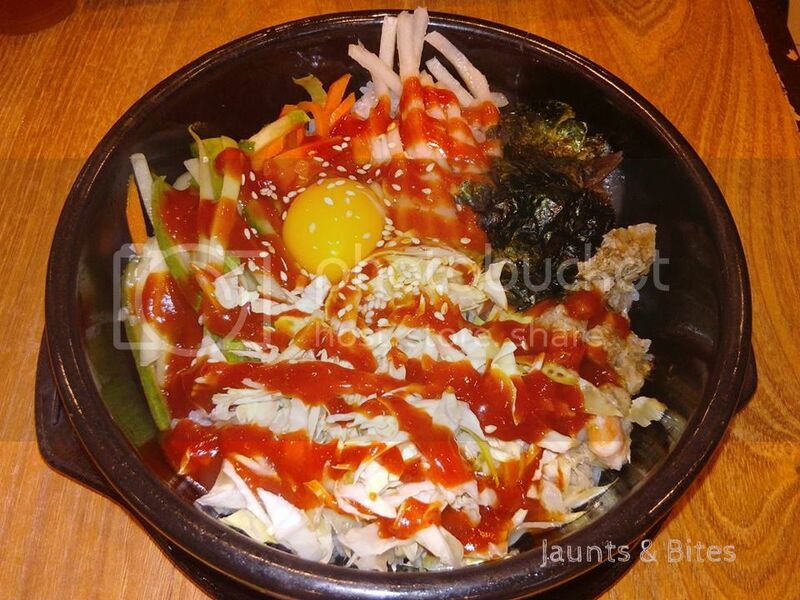 It's a rice topping set that's made of fish fillet, squid, stripped veggies, topped with fresh egg, nori strips, Korean sauce and a sprinkle of white sesame seeds, served in a sizzling bowl. This was my order and yes, I'd say it's Korean along with a thumbs up. Looks easy to prepare too. 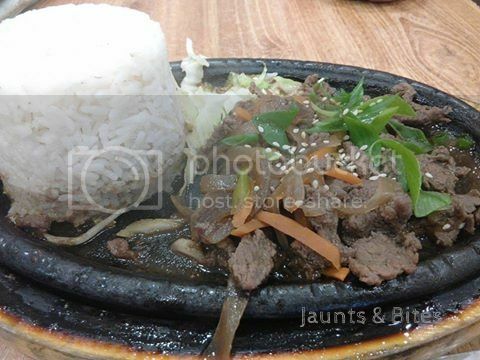 Now this one looks more Filipino.My buddy had it and with him being upright, he said it's nothing extraordinary except that it is served in a sizzling plate. He added though that he would love to try something else from the menu some other time. Same here. I honestly expected more than what it is. I've expected crab meat and perhaps mango in it instead of just vegetable strips and stripped scrambled egg. And the rice used look and tastes like ordinary. The only thing Korean from this set I guess is the dip. Oh well... the price has it. It's a good attempt though. Maybe next time we can try out something else. 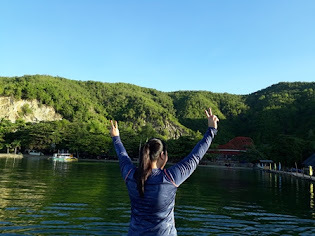 Yes, we will be going back when we have a chance. I'm actually eyeing for the garlic chicken.